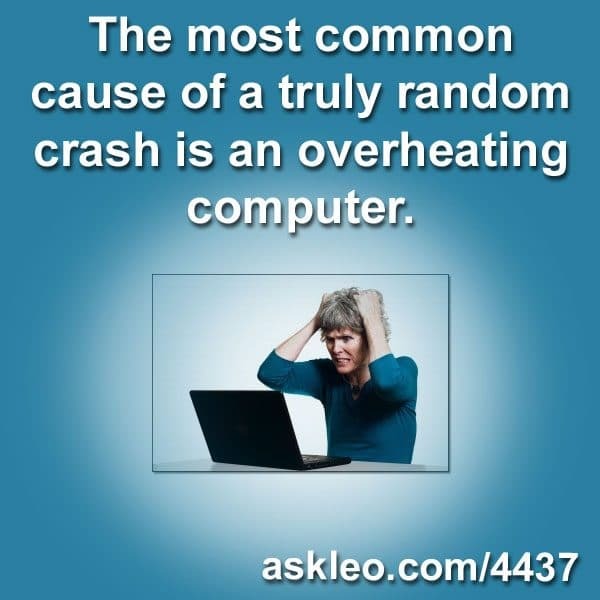 The most common cause of a truly random crash is an overheating computer. - Ask Leo! The most common cause of a truly random crash is an overheating computer. « Previous post: Why Does My Email Sometimes Show Up with Funny Characters Like “=0D” In It?